Trash Isle is seeking additional “citizens” to support their petition to join the United Nations. Trash Isle is not a real island, it is a cute name for an ugly condition called the Eastern Pacific Garbage Patch or the North Pacific Subtropical High. LADbible Group and the Plastic Oceans Foundation have joined forces to raise awareness of the conditions of our world oceans and the plastic it now contains. There are over 30 millions of tonnes of plastic created each year and an estimated 8 million tonnes of it ends up as trash in our waterways and then out to the oceans. 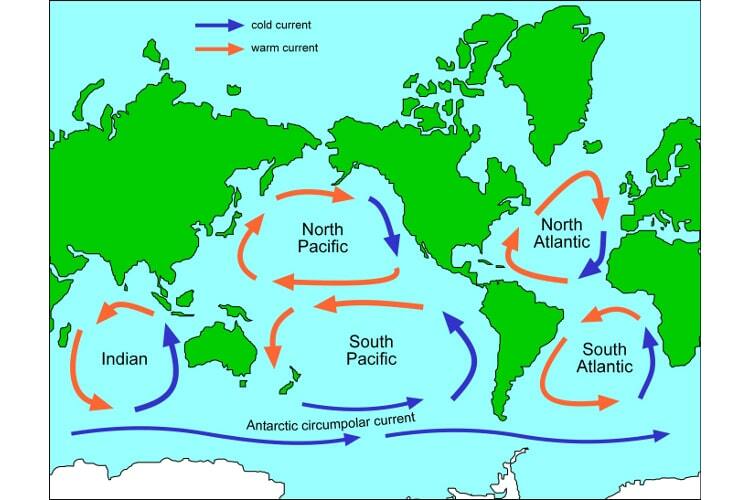 Currents carry the plastics and other trash away from the land masses and concentrate them in remote areas. 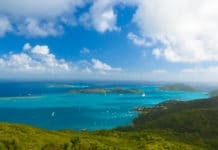 One of the most notorious is the Eastern Pacific Garbage Patch, scientifically known as North Pacific Subtropical High. It is this patch that the group is calling Trash Isle and they have applied to the United Nations for recognition as a country. In their application to the UN they declared that they do meet the four requirements set forth by The Montevideo Convention on Statehood of 1933. The criteria of the convention are: (1) a permanent population, (2) a defined territory, (3) government and (4) the capacity to entire into relations with other States. As a UN recognized state other UN states are required to assist in protection from pollution. Charles Moore was returning to California from Hawaii in August 1997 after being a participant in a yacht race. He took a path that was not commonly traveled. As he did he came upon an area where there was a sufficient number of plastic bags, bottles and other trash floating in the water. The water itself was discolored looking like a soupy mess. He had discovered the Eastern Pacific Garbage Patch. Research since then has determined that the area of this soupy mess is larger than the country of France. The “soup” is small pieces of plastic mixed with plankton. Plastic does not biodegrade, it just breaks down to smaller pieces. Some of the plastic even start out small, the microbeads found in some beauty products and which are being outlawed in some areas. While this patch was found in 1997, the concept of the patches was known for more than a hundred and fifty years. Jules Verne described the trash found in the Sargasso Sea in his novel Twenty Thousand Leagues Under the Sea. Verne learned of the trash from a scientific paper published in 1855, “The Physical Geography of the Sea”, by oceanographer Matthew Fontaine Maury. The patch is formed by a gyre. A gyre is a circular current covering much of the ocean. The rotation of the currents and the earth motions concentrates the material towards the center, much like a whirlpool or the water running out of your bathtub drain. There are five major ones in the world oceans. Trash from the west coast of the United States travels south into Mexico, leaving some of it behind on Mexican beaches before heading west across the Pacific. Near the coast of the Philippines, the current heads north towards Japan and then towards the east. It takes about 6 years to reach the area knows as the patch from the United States, just 1 year from Japan. Some of the material will remain in the patch, while others will be pushed by the current and loop around again. 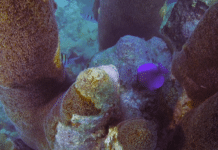 As the material becomes smaller, it is often eaten by the marine and bird life. 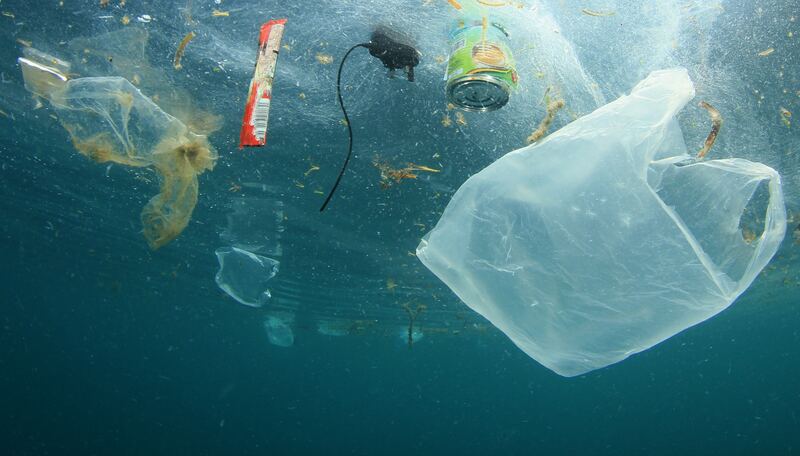 The micro-plastics get mixed with the plankton and eaten by the plankton eaters. They are in turn eaten themselves. We have now entered plastic in the food chain which a small portion reaches our dinner plates. That nice bubble bath you enjoyed, might ended up on your dinner plate. Capt. Charles Moore who first report the Great Pacific Garbage Patch has been very active in researching the problem. He has done a short but very interesting TED talk on the topic which is a great resource if you want to learn more. Dutch inventor Boyan Slat created a cost-effective method to collect the plastic and the “soup”. He founded The Ocean Cleanup in 2014 at the age of 18. The Ocean Cleanup is a non-profit organization, developing advanced technologies to rid the world’s oceans of plastic. 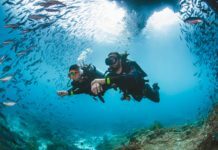 Two years prior, the 16-year-old was scuba diving in Greece and was shocked to see plastic among the fish. He developed a concept to gather the plastic from the accumulation zones i.e. garbage patches. He did a TED talk on his concept. The initial response was not that great, it did not seem feasible. However, the video of the talk became viral the following year and scientist started to volunteer their time to help work out the system. It was not long before scale test were proving the concepts and designs viable. 2015 saw a number of expeditions to the Atlantic Garbage patch to take some measurements of concentrations and depths where it was found. The results of these studies dictated some changes in the methods of collection. “In August 2015, around 30 vessels crossed the Great Pacific Garbage Patch in parallel, creating the largest ocean research expedition ever. Sailing between Hawaii and California, the expedition mapped an area measuring 3.5 million square kilometers and collected more data on oceanic plastic that had been collected in the past 40 years combined. This reconnaissance expedition was a necessary step to fully understand the plastic pollution problem – and ultimately being able to clean it up….. As of October 2017, we are moving into a procurement phase, where all components for the first cleanup system are being ordered and produced.” – Ocean Cleanup Website. If the Ocean Cleanup group can maintain their progress they should be ready to move to the Pacific Garbage Patch in May 2018 and start a cleanup operation. They believe they can reduce the patch size in half in 5 years and be self-sufficient financially. It had been estimated that conventional means would have taken a thousand years. Our oceans can be saved! Let’s commit ourselves today, tomorrow and everyday. For our future and that of our children and their children. We need to safe our oceans!